Tried this product and loved it. I goes on smooth and even and stays on all day. Especially like the selection of color, so many to chose from, no problem to match your skin color. This full coverage foundation leaves my face looking flawless. It is one of the first foundations that has not caused my acne to become worse. It also hides my pots and doesn’t extenuate my fine lines. LOVE THIS COVER UP! IT HAVE LOTS OF DIFFERENT SHADES TO CHOOSE FROM. IT HAS GOOD COVERAGE AND LAST ALL DAY. 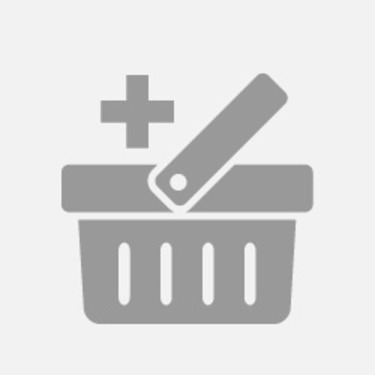 GREAT PRICE AND HAS BEEN OUT FOR AWHILE I GIVE IT THUMBS UP! I bought this foundation after getting great feedback & finally decided to try it. I love that this foundation contains spf & keeps my skin feeling & looking hydrated. 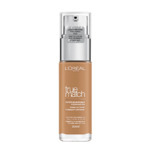 I found that this foundation blends out very well & leaves a dewy finish. The only somewhat downfall is when applying finishing powder, it created lines & wrinkles in my foundation. Other than that, i think i've finally found a foundation that works for my skin type. 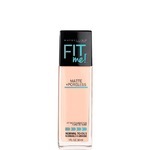 I've tried this foundation quite a few times and I really really like it!! I don't find it transfers which is something I find hard to have happen with a drug store foundation!! I don't find that it oxidizes. I love that you don't need a lot of product to get a nice coverage. It really makes your skin look the healthiest it's ever been. And I have to say it really does last quite some time on my skin and that's saying something considering I have oily patches on my face which sometimes can cause issue with foundations and I'm just so happy it didn't happen with this product! Considering I paid $6.79 CAD on Amazon, this product is fantastic!!! I am in love with this foundation, I have combination skin and it didn’t lift or flake on my dry patches. It was easy to apply and gave great coverage. Will definitely buy this again. This is my everyday, like literally everyday foundation. 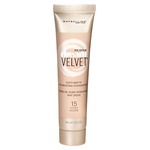 I use this along with my Primer and another foundation for a perfect, medium coverage everyday look. The price is awesome for its quality! I hope they make more shades though! I have been using this foundation since it came out a few years back and its one of my favorites. It helps my pores disappear, it has good coverage, the shade selection covers a lot of skin tones and its really affordable. 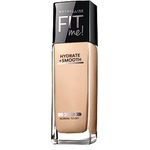 It's tried many drugstore and high end foundations and this fit me foundation is just as good as any high end foundation I've tried.